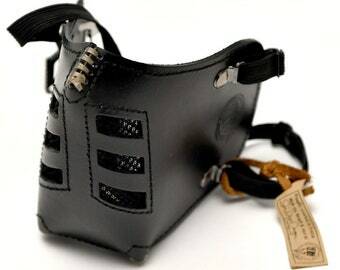 MasK "killer bug" sewn leather hand for sophisticated biker who roll with a throw, mouth and nostrils in the wind. 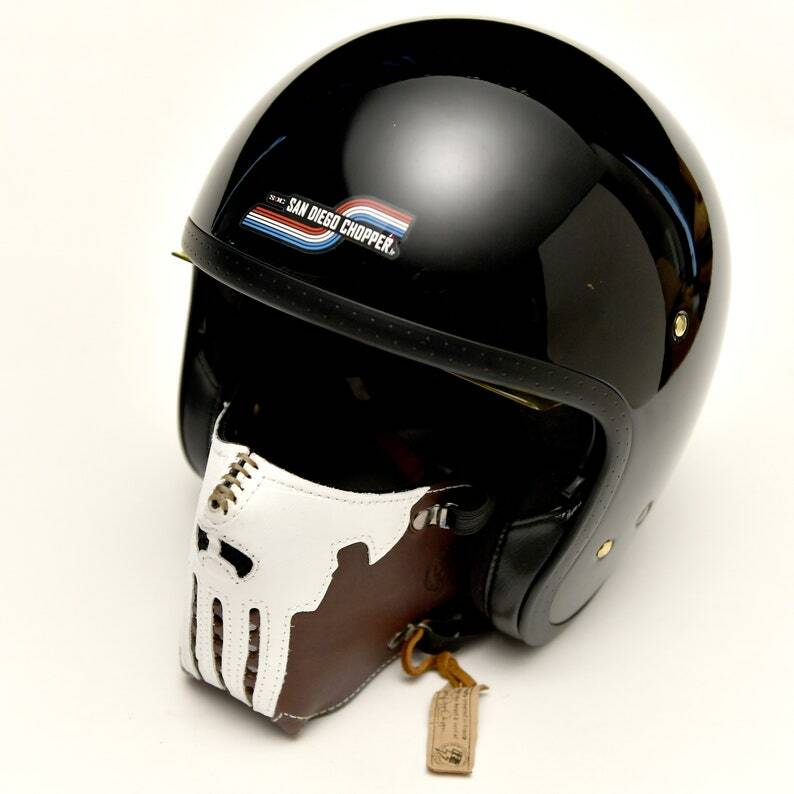 A mask to face bad weather, cold, road, and nothing change look and vintage and custom motorcycle spirit calling for an open face helmet. One photo shows among other mask worn, worn and weathered over time *. Carefully selected they are intentionally thin and flexible to not feel them and forget about the distance. It takes some pressure to hold it in place but not too much to be forgotten. I don't you advice not to change them to a rigid feel them you compress the head, and if they have no pressure on it they will slide over your ears you interfere. More elastic have less range of elasticity and is definitely not the right choice. No need to have a larger elastic. MasK "killer bug" in hand-sewn leather for experienced riders who like to ride with a jet, mouth and nostrils to the wind. Mask to face the bad weather, the road cold tea, and no. 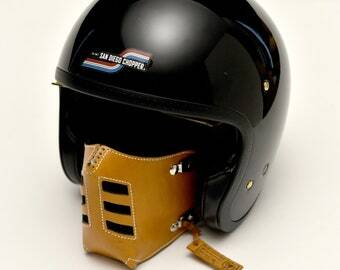 changes to the look and spirit vintage motorcycle and custom which demand an open face helmet. one size fits all *. 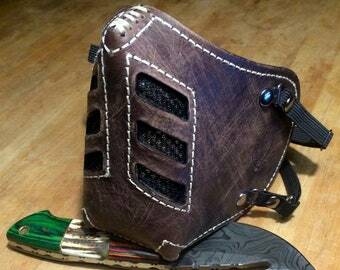 1 New MasK model "The Punisher" brown & white leather. One picture show also a used mask, worn and weathered with time *. They are thin and deliberately chosen judiciously flexible so as not to feel them and be forgotten about the distance. It takes some pressure to keep it in place but not too much to be forgotten. I do not advise you to change them for more rigid, you feel them compressing your head, and if they have no. pressure on it they will slip on your ears and bother you. The stiffer rubber bands have less range of elasticity and this is definitely not the right choice. Need to have a bigger rubber bands.